The energy transition demands digital transition – the number of renewable sources is increasing, while in the future there will be less and less conventional plants available to ensure the required flexibility and stability in the grid for which the transmission system operators (TSOs) are responsible. As such, the Dutch-German TSCNET shareholder TenneT is constantly seeking new decentralised sources that can replace lost flexibility. In addition to wind and solar energy, these can include batteries, industrial plants or cogeneration. This is where digitisation comes in, because only through so-called “aggregator” and block chain technology the capacity and potential of all these sources can be combined and fully utilised. TenneT has launched two pilot projects last year, one in the Netherlands and one in Germany, both employing blockchain technology. In the first case, e-vehicles and in the second case household batteries were used to balance the grid and avoid congestions. The blockchain application is an IBM development and the Dutch green electricity supplier Vandebron is the cooperation partner in the Netherlands. Vandebron provides battery capacity from e-car charging sessions at TenneT’s request. In this way, the TSO can draw on an additional electricity pool. In Germany, TenneT collaborates with Sonnen E-services, a company specialising in home energy storage systems. Decentralised household batteries from Sonnen are integrated into the TenneT network via a blockchain and interconnected. 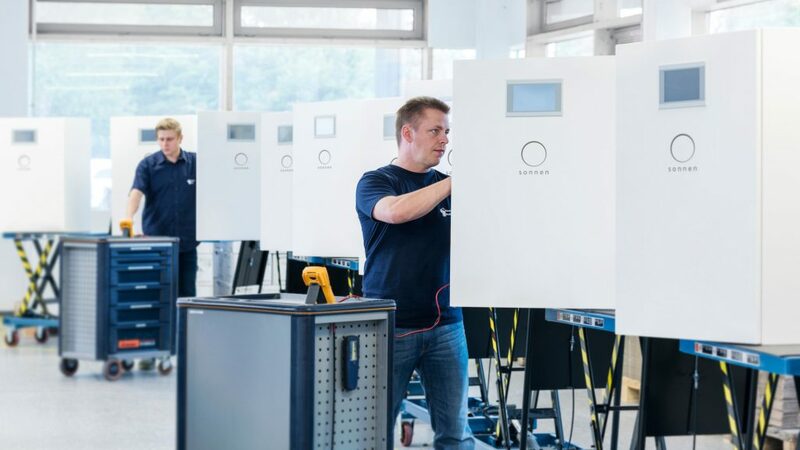 Through the smart use of these batteries, Sonnen contributes to facilitating power transmission in Germany. Since both blockchain tests were successful, TenneT and IBM have signed a contract for the further development of blockchain technology. The companies will intensify the implementation so that many more parties can gain access to the electricity market. Three new partners have already been won as additional “aggregators” to ensure improved matching of electricity supply and demand. TenneT CEO Manon van Beek explains that the TSO offers not only “a new way of integrating decentralised sources”, but also “private individuals a good opportunity to participate actively in the energy transition, making the energy transition more affordable together”. The substation in Pleinting near Vilshofen is one of the central hubs of the Lower Bavarian power supply, for which TSCNET shareholder TenneT, the Dutch-German transmission system operator (TSO), is responsible. Also in terms of the energy transition and cross-border electricity exchange, the substation close to the Austro-German border is significant. This applies in particular to the transmission of surplus electricity from Lower Bavarian solar power generation and for the connection of Austrian pump storage power plants to the German grid. A total of three new transformers will be installed in Pleinting, the first of which was delivered already in February 2017. The second transformer, manufactured in the Dutch town of Nijmegen, now has arrived at a nearby train station. 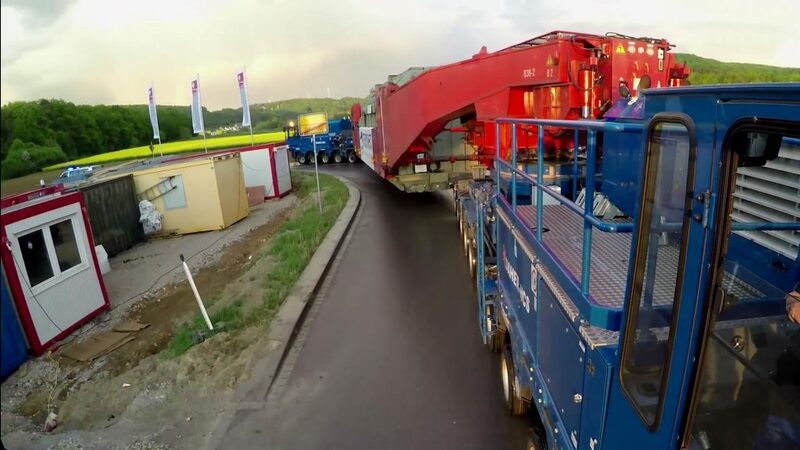 On 6 August, the 286-tonne transformer will be delivered to the substation with a heavy-duty road transportation unit of around 45 meters in length and a total weight of 500 tonnes. The following assembly work at the substation will probably take three months. After commissioning, the transformer will have an operating weight of 417 tonnes. It also offers an extended scope of possible applications, as it can be switched over on the high-voltage side. This means that the transformer works between the 380kV and 110kV voltage levels as well as between 220kV and 110kV. Thus it can immediately be integrated into the existing 220kV systems of the Pleinting-Pirach power line. After the completion of the planned 380kV Pleinting-Pirach line, the transformer will subsequently supply the region on this higher voltage level. By 2020, all modernisation and extension works in an around Pleinting are expected to be completed. “Digitalisation is becoming increasingly important for the secure and efficient operation of the grid, which is why we are the first transmission system operator (TSO) to broadly explore the possibilities offered by digitalisation.“ Lex Hartman, executive board member of TSCNET shareholder TenneT, has every reason to make that claim, since the Dutch-German TSO has been designated one of the top 10 Dutch “Transformers” in the digital transformation. Currently, the TSO carries out four digitalisation projects, including three blockchain solution pilots in Germany and the Netherlands to facilitate access to local and decentral electricity capacities. These projects involve home energy storage systems and vehicle-to-grid-technologies respectively. Another blockchain pilot focuses on e-car batteries to compensate for frequency deviations. The fourth project explores the potential of sensors in vehicles for the improvement of solar energy generation forecasts. TenneT has announced to launch more pilot projects in the coming months. The Dutch-German TSO TenneT proves to be a digital frontrunner. 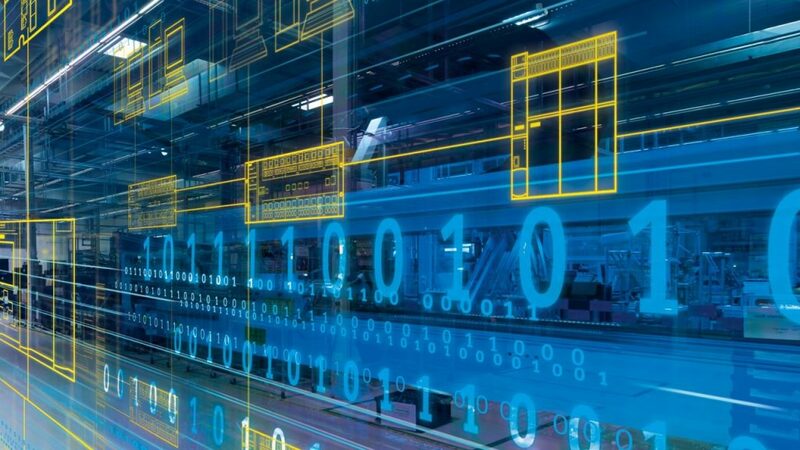 Illustration on a digital enterprise (source: www.siemens.com/presse).